The old stone wall that forms the boundary between my 18th century cottage and next door runs, with a couple of kinks in it, for about 50 yards from the road at the front to the field at the back. It’s between 6 feet and 9 feet high and provides both houses with privacy. It was swamped in ivy which I’m just getting around to dealing with. 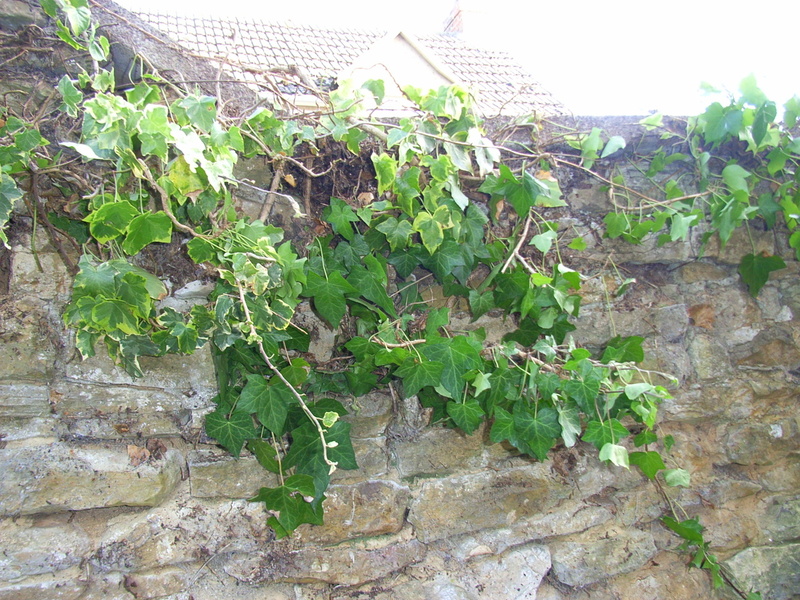 I wrote, care of the letting agency, to the owner (it’s a rental) of next door, advising him of my intention to remove all the ivy that has grown over from his side to mine, and on top of the wall, where 3 to 4 feet of additional growth flourished. This being a tall task, I ‘got a man in’ as they say, who carefully cut and cleared to reveal that all the ivy could be traced to the other side of the wall, where it was growing from just two roots. But as it has not been pruned for 10 years or more, it had gone native and colonised the entire wall. The damage to the stonework means the wall will have to be rebuilt in some sections. Why do people plant ivy? It’s a thug, a parasite that eats into stonework. Plant it by the house and it will be under your foundations and into your roof-space. Plant it on a garden wall and it will push it over. Never plant an ivy! There are so many lovely rambling plants that will cover up bare walls with just a bit of trellis or wire without getting their claws into your precious possession….